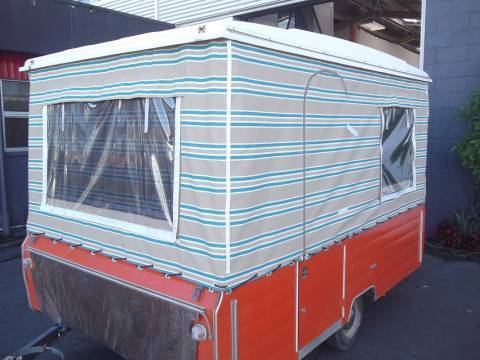 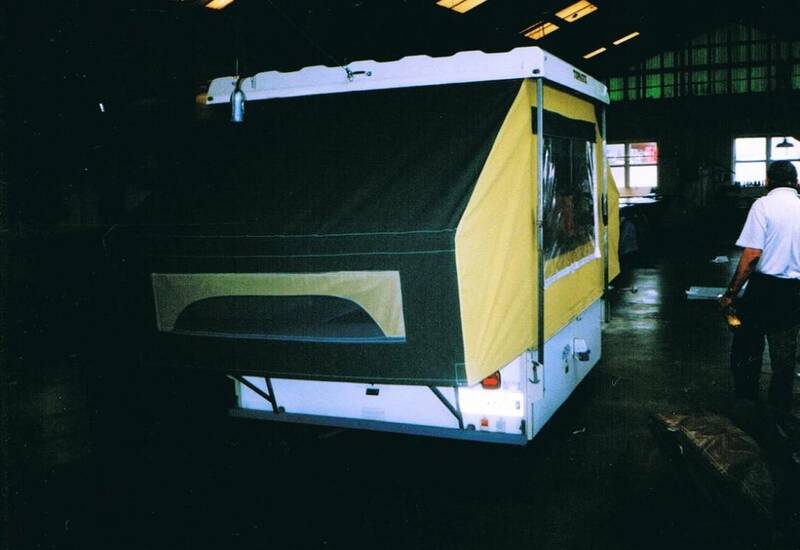 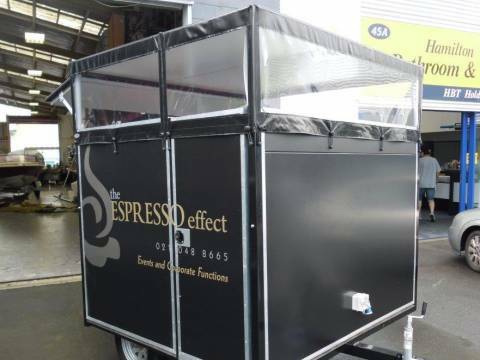 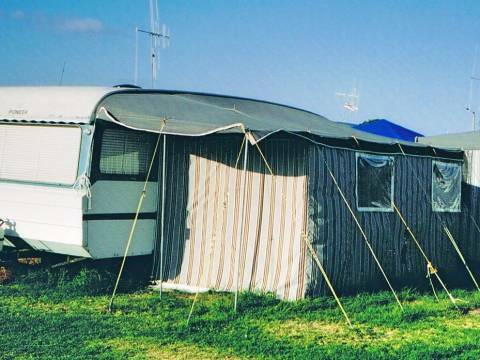 Do you need a top quality, custom made caravan awning? 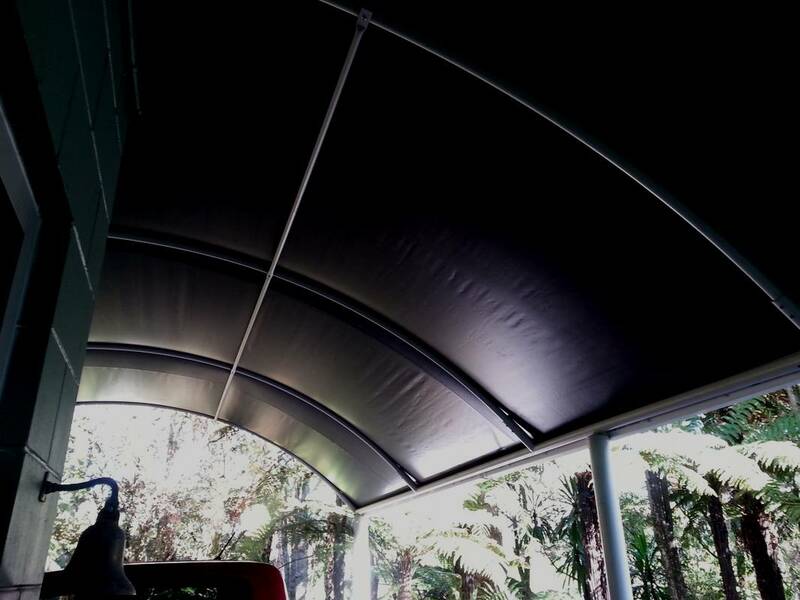 We have highly skilled staff, experienced in designing and manufacturing all types of awnings to meet your camping requirements. 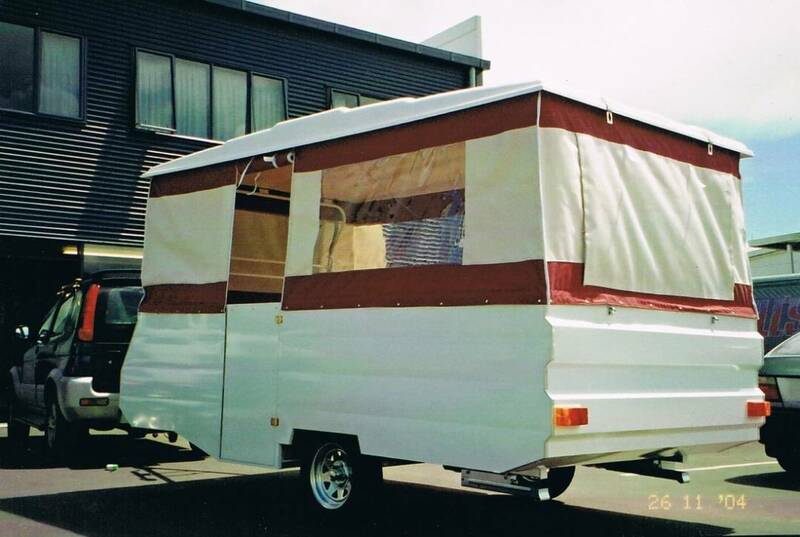 We use top quality materials in a wide range of modern colours. 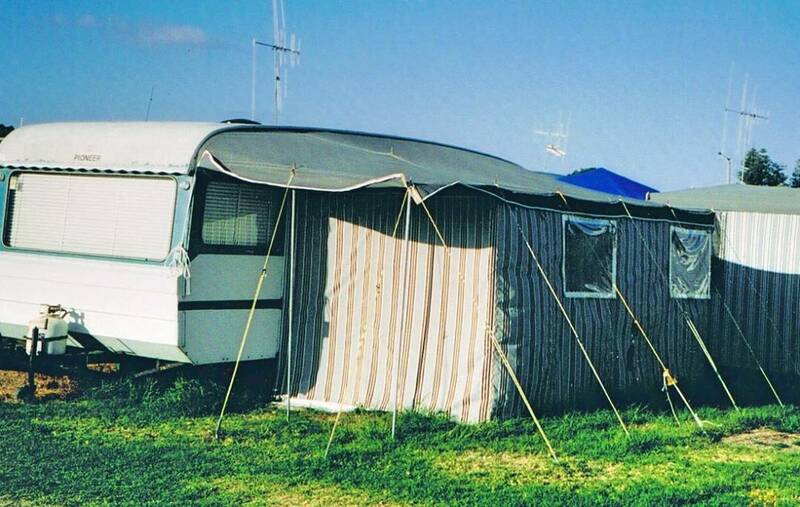 We also supply roof suspension poles to reduce the number of ropes, and we use fully adjustable poles. 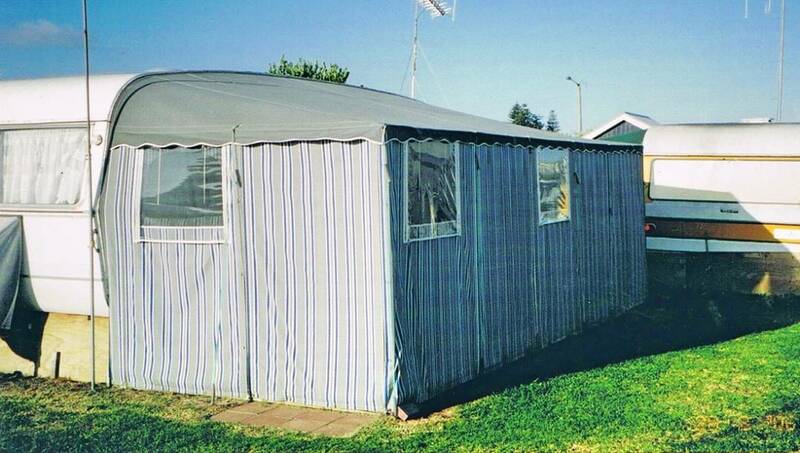 For windows we give you the option of a zipped canvas closure, a clear plastic window, or insect mesh. 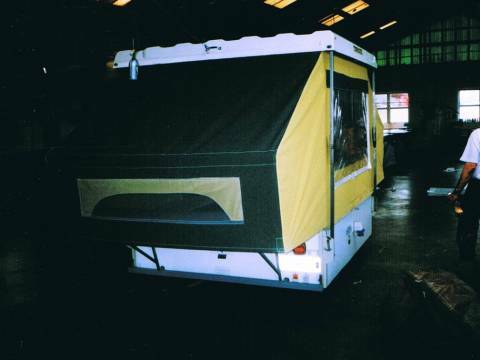 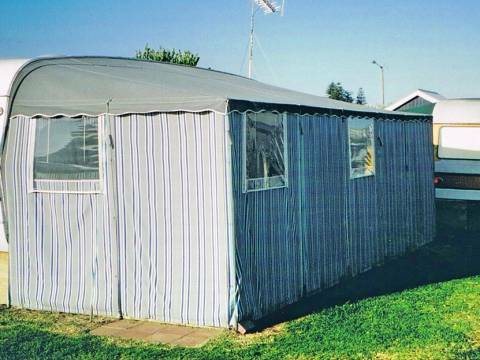 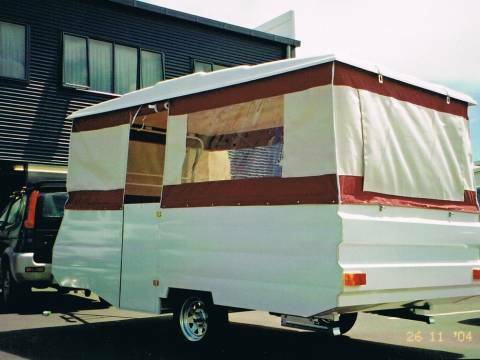 From pop tops to camper trailers, campermatics to campervan awnings, sunporches to carports - we can make it. 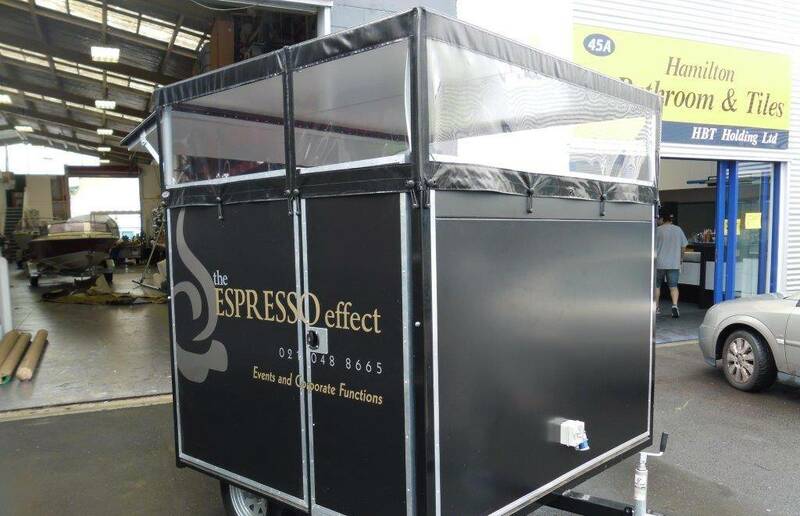 Simply contact us to discuss your needs.